Stratis G. Georgilas, Barrister, was called to the Athens’ Bar in 1994. 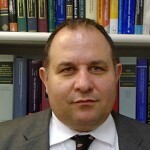 He is the Head of Chambers at G – H Law Chambers in Athens (2001 to this date). He holds a Master of Law Degree, LL.M. (i) (Cantab. ), from Cambridge University, where he studied at Hughes Hall and the Faculty of Law (1994). He read ‘‘Ptychion’’ in Law at Democritus University of Thrace, where he studied at the Faculty of Law (1992). He has pleaded cases before all domestic (Greek) Courts, as well as the European Court of Justice, the European Court of Human Rights and other International Courts and Tribunals, in the fields of Public International Law (Human Rights, Settlement of International Disputes, Commercial Arbitration and ICSID), E.U. Law and Aviation Law. He has rendered his services to States on issues of international dispute settlement, international criminal law – law of armed conflict and aviation law. He is the Legal Counsel and Litigator of scheduled air-carriers in Greece (2001 to this date). He has practiced in all relevant fields (e.g. IATA, Aviation Contracts, CAA, AP Facilities, Representative Offices etc). G-H Chambers is a frequent sponsor of the universally known annual IATA’s Legal Symposium. He holds an active membership in various organisations and societies, namely: European Aviation Club (2013), European Air Law Association (2012), PEOPIL (2010), ESIL (2008), Hellenic Aviation Society (2008), ILA (2000), International Society for Military Law and the Law of War (1997), ASIL (1994), BIICL (1994) and Hellenic Society of International Law & International Relations (1994). His recent activities include: co-drafting Greece’s Intervention before the International Court of Justice (Case Concerning the Jurisdictional Immunities of the State, Germany/Italy), where the Court held (in July 2011) that the Application of Greece asking permission to intervene ought to be granted; participating (counsel) in EU programs in the fields of IT and MED (2008 – 2013); providing technical assistance in the form of legal expertise to the EC/EU (DGEmp.-TFfG) and the Greek Ministry of Development & Competiveness (2014 – 2015). He has widely published articles and case-notes in Greek and English on various topics of public international law, aviation law and E.U. law. He is a frequent participant in domestic and international symposia and conferences, where he has delivered lectures on a number of public international law and aviation law themes. SpecialtiesSettlement of international disputes, aviation law, law of armed conflict.